Living conditions of the Batwa in Uganda have only worsened since 1991 when they were forced out, at gun point, of the Bwindi forest. They have since become conservation refugees, leaving their homes empty handed and living with the consequences of a decision that was thrust upon them without their consent. Intractable poverty is now the norm amongst the 927 Batwa currently living in Uganda. The nearest hospital is 15 kilometres away and the land they live on is infertile; they have no means to sustain themselves. Despite the fact that the Ugandan government kicked the Batwa out of their homeland to create the Bwindi Impenetrable National Park and Mgahinga Gorilla National Park, there has been no move to compensate the community for what they went through. This is in spite of the fact that the Uganda Wildlife Authority has earmarked 10% of revenues collected from the National Parks to the local affected communities. Emmanuel Tezimana sits quietly on a tree root, looking sad and depressed. The father of two is not wearing a shirt, and his trousers are in tatters. Three young women and about a dozen children sit on a mat a few metres away, and the expression on their faces says it all: these are people living in extreme poverty. The children are wearing filthy clothes, they have excessive shedding of dead skin cells from their scalps, and their bellies are swollen. They are all severely malnourished. This is the ultimate situation of the Batwa community living in Kebiremo village in Kanungu district, southwestern Uganda. Kebiremo is home to 25 Batwa families who live in semi-permanent houses constructed for them by the Batwa Development Programme, a Kanungu-based non-profit that works to uplift the lives of Uganda’s Batwa, who are currently numbering 927 individuals. The Batwa live in 11 settlements in Kanungu and Kisoro districts – and they are mired in extreme poverty. In Kebiremo, there is no hospital nearby, and many Batwa have been dying prematurely over the past few years. Within the 25 Batwa families that reside here, at least 20 young people have died in the past five years. And they have all died from “simple” diseases such as “malaria, ulcers and even headache,” 26-year-old Tezimana tells me. For ages, the Batwa sustained their lives only from the biologically rich forests in which they lived. The forests provided them with food (plants and animals) and medicine (herbs). But their lives took a dramatic turn in 1991 when the Ugandan government gazetted Bwindi Impenetrable and Mgahinga forests to save the iconic mountain gorillas from extinction and also boost the country’s tourism. The Batwa were forced out of the forests at gunpoint and were not compensated since they never owned permanent structures. They left their ancestral home empty-handed and have since lived with the consequences of being born in the wrong part of the country. “Intractable poverty” is evident in Kebiremo as the Batwa lack basics such as adequate food and medical care. 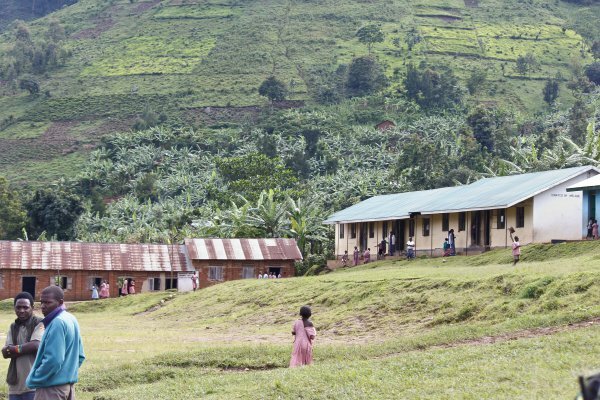 They say the land on which they live now is infertile and the nearest hospital is about 15 kilometres away – the Bwindi Community Hospital that is located near the entrance to the Bwindi Impenetrable National Park. By default, every Twa has medical insurance in this hospital, which was founded by Scott Kellermann, an American medical doctor and an Episcopalian missionary. When Kellermann first arrived in Uganda 18 years ago to medically survey the Batwa, he was rattled by the conditions in which they lived and decided to permanently live in Uganda and aid these unfortunate people. But perhaps what he didn’t know at the time was the tough task that awaited him. Kellermann began by surveying the life expectancy of the Batwa, a people whose plight is rooted in the indifference with which they have been regarded since they were evicted from the Bwindi forest in 1991. His survey yielded saddening results: in 2000, 18 per cent of Batwa children were dying within one month of birth while 40 per cent of them never lived past five years. The adults’ life expectancy was just 28. Yes, 28! Treatable ailments were – and still are – claiming the lives of these misfortunate ‘conservation refugees’ who live in the home district of former Prime Minister Amama Mbabazi. But even though Kellermann’s findings were difficult to absorb in his first days in Uganda, he chose to stay and help the Batwa – perhaps motivated by the Christian concept of always extending a helping hand. His first task, he decided, was to reduce maternal deaths. He started by setting up a mobile clinic, but moving from village to village was daunting so in 2003 he founded the Bwindi Community Hospital. But Kellermann’s aid stopped coming in 2010 and suffering returned to Tezimana and his people. After nearly a decade of aiding the Batwa through his Kellermann Foundation, Kellermann established the Batwa Development Programme (BDP) and empowered the Batwa to run the organisation themselves, but it has never been as effective as Kellermann was, according to Tezimana. Kenneth Turyamubona, one of about three or so Batwa who have so far attended university, is currently the organisation’s top honcho. BDP, according to Levi Busingye, one of the managers of the organisation, focuses on Batwa’s education, skills development, healthcare, shelter, culture preservation and food security. The programme raises funds through donations from well-wishers, the Kellermann Foundation and the Batwa Experience, a tour package that gives tourists a peek into the traditional lifestyle of the Batwa. Today, BDP pays medical insurance for all Batwa, pays school fees for 262 Batwa children, and also constructs at least 10 semi-permanent houses per year across the 11 Batwa settlements in Kanungu and Kisoro districts. Despite the fact that the Batwa were kicked out of the forests to give way for the creation of the Bwindi Impenetrable National Park and Mgahinga Gorilla National Park, authorities have never done anything about their plight. Yet, according to the Uganda Wildlife Authority (UWA), 10 per cent of the money collected from gorilla permit sales goes to the communities around the two national parks. “The tourism revenue sharing is an obligation for us,” Pontius Ezema, chief warden for both Bwindi Impenetrable and Mgahinga Gorilla national parks, told The New Vision last year. But according to BDP’s Turyamubona, the Batwa have never received anything from UWA’s revenue sharing scheme. And that the money goes to other people while bypassing the Batwa – the “rightful owners” of these national parks – has been a source of disillusion for the former hunter-gatherers. It’s not surprising that in 2013, the Kisoro-based United Organisation for Batwa Development in Uganda (UOBDU) took matters to the Constitutional Court in an attempt to have Batwa’s ancestral land given back to them. Yes, they wanted both Bwindi Impenetrable and Mgahinga Gorilla national parks, Uganda’s star attractions, given back to them.